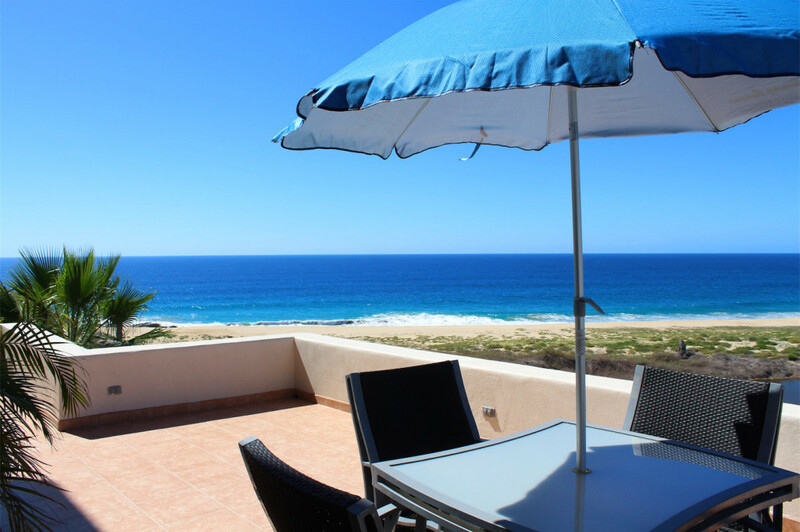 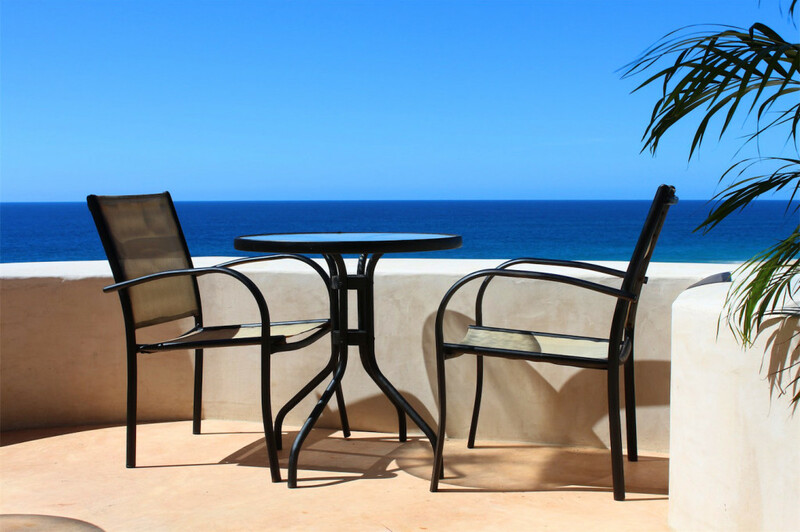 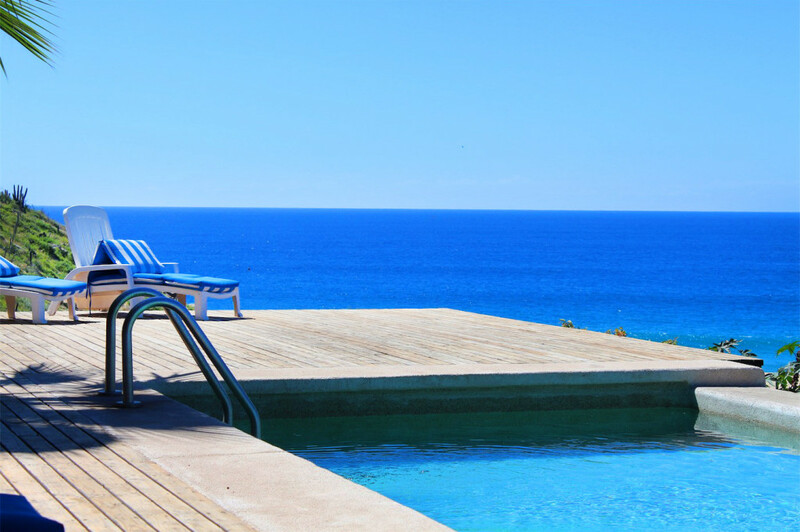 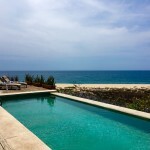 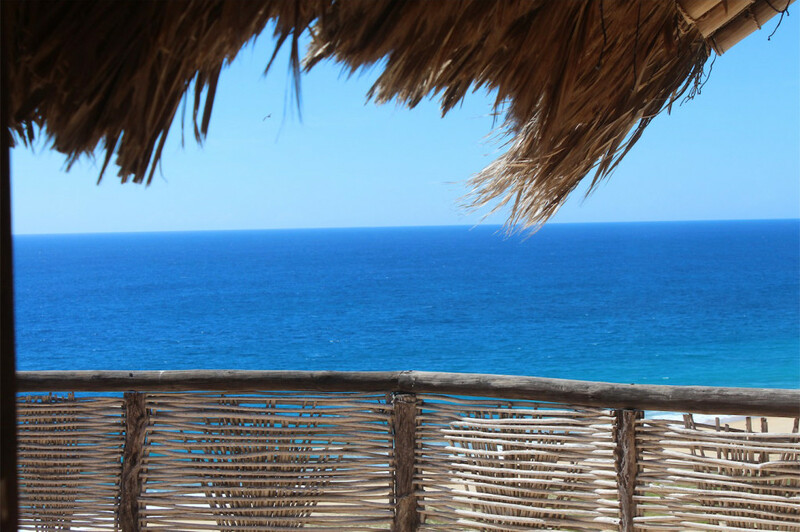 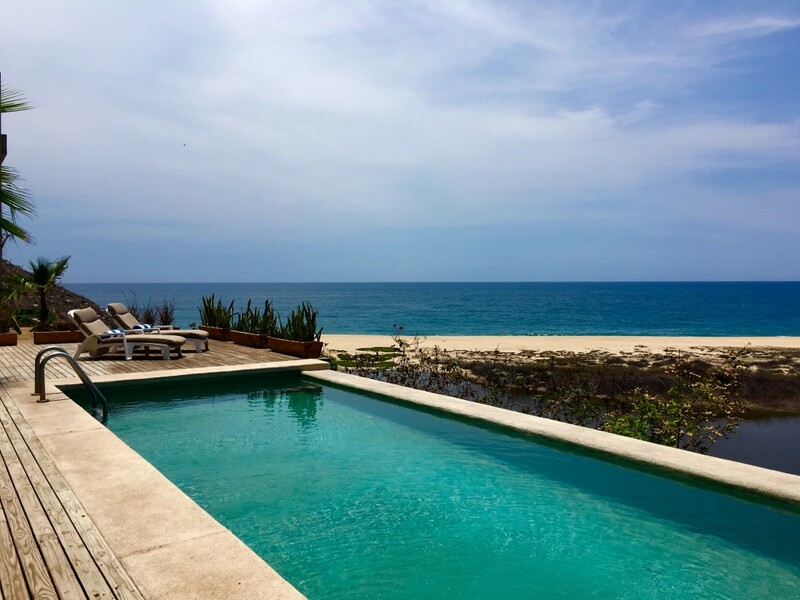 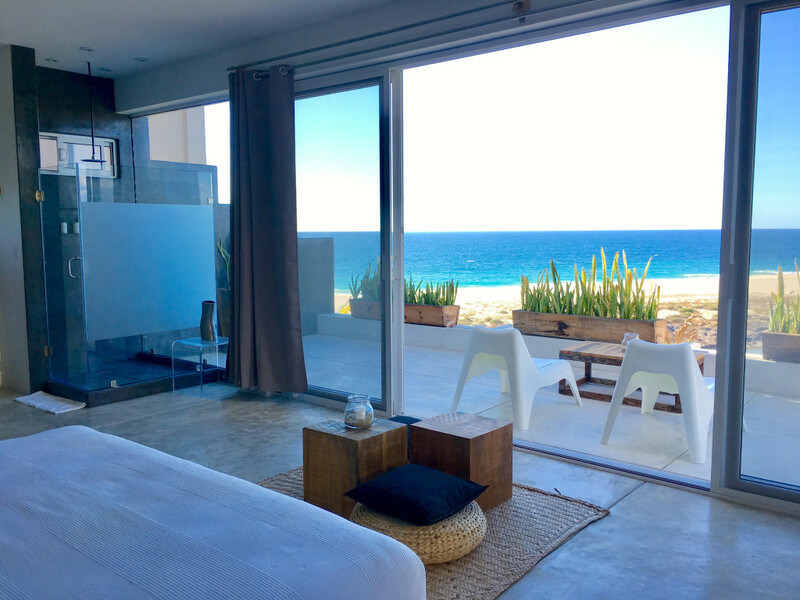 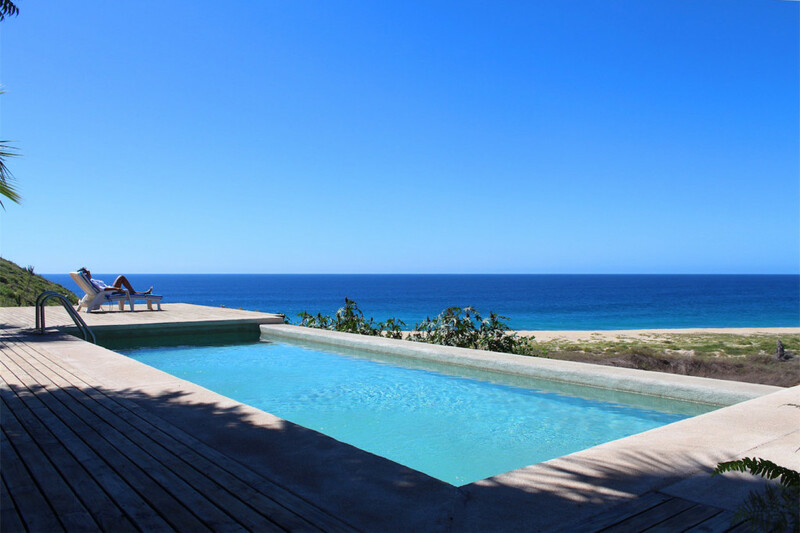 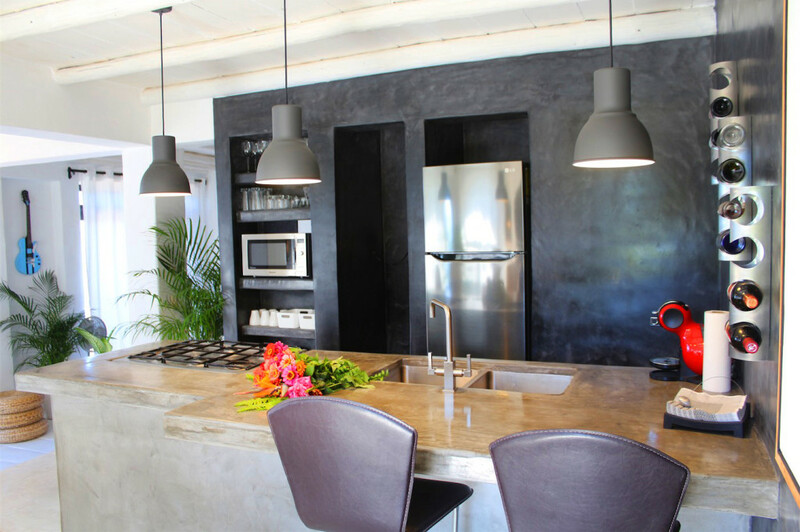 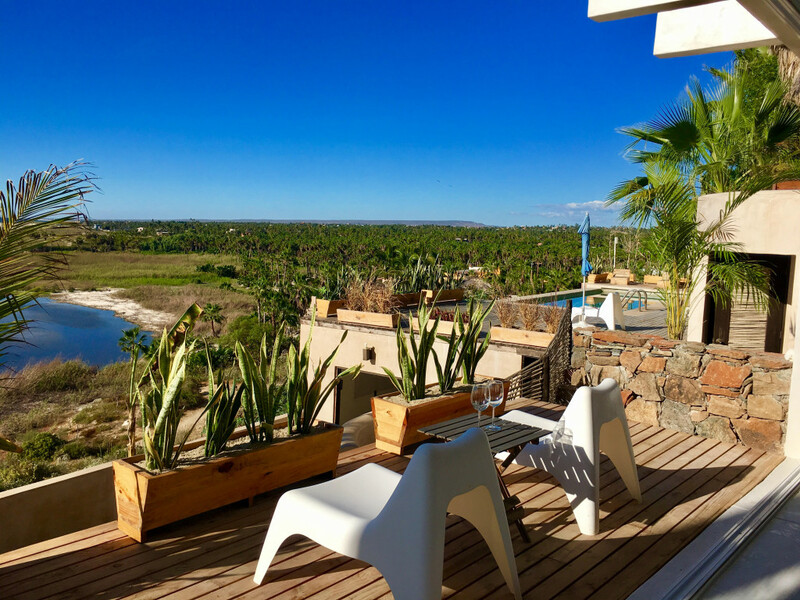 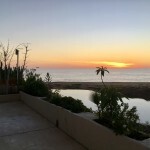 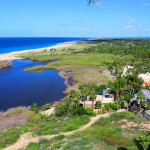 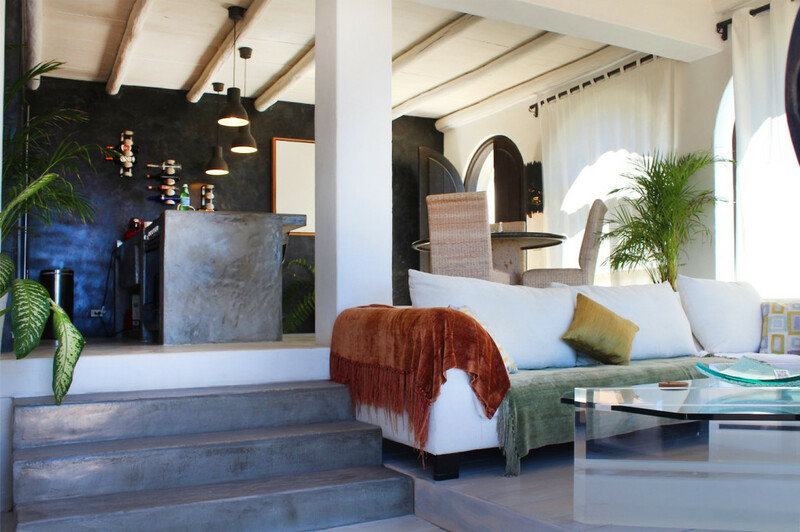 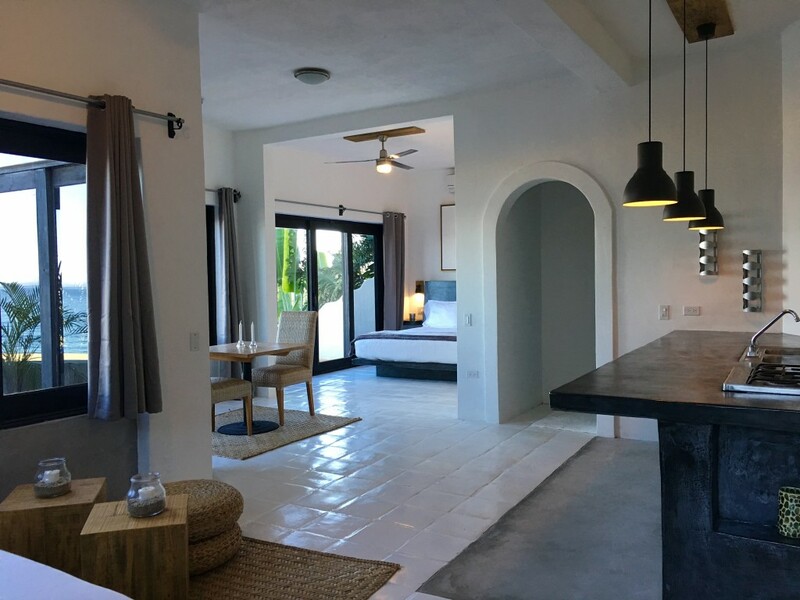 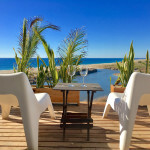 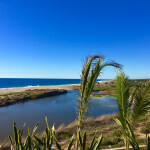 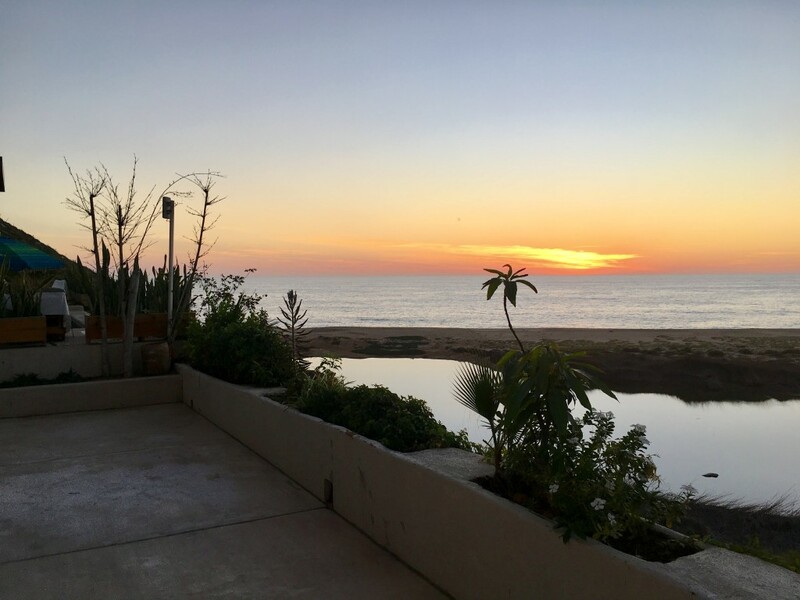 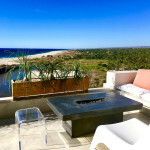 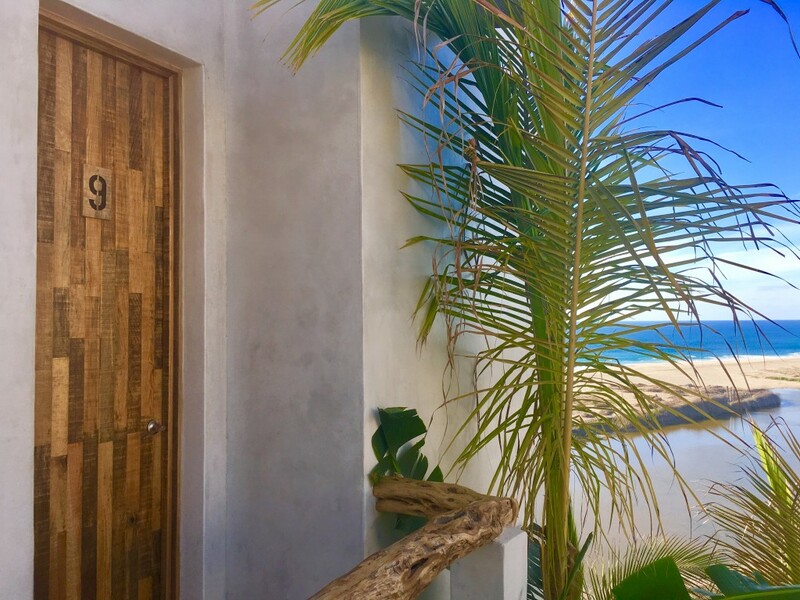 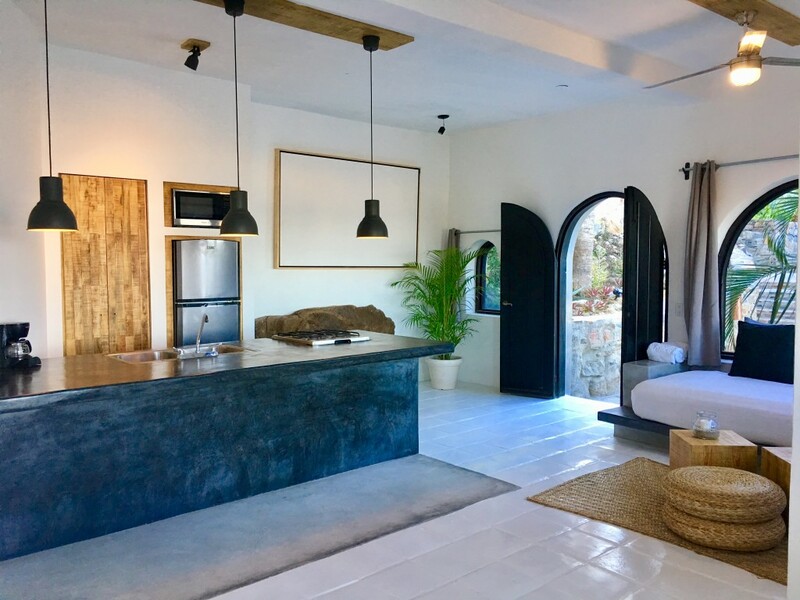 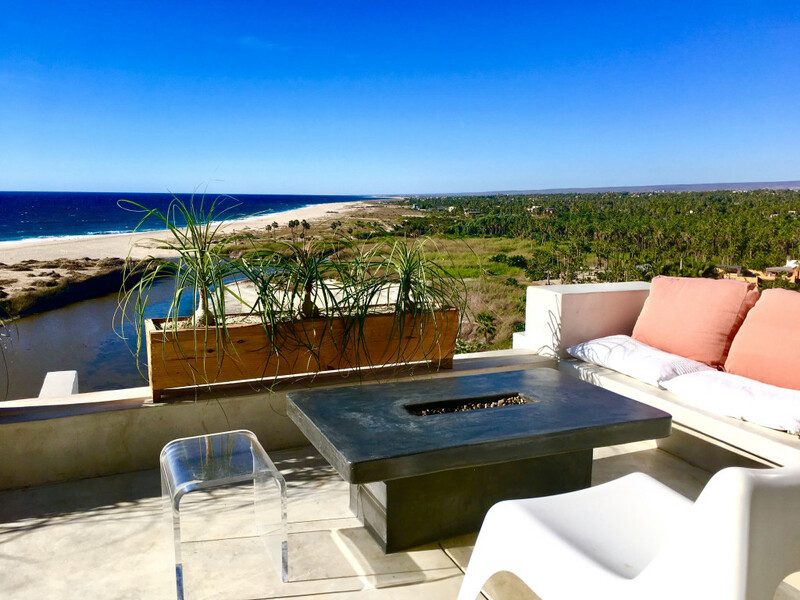 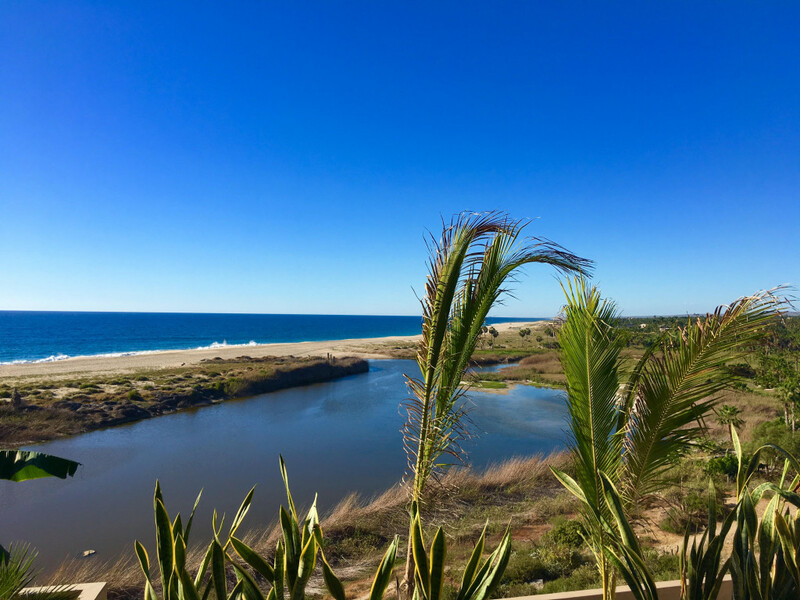 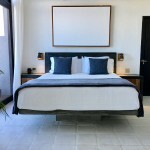 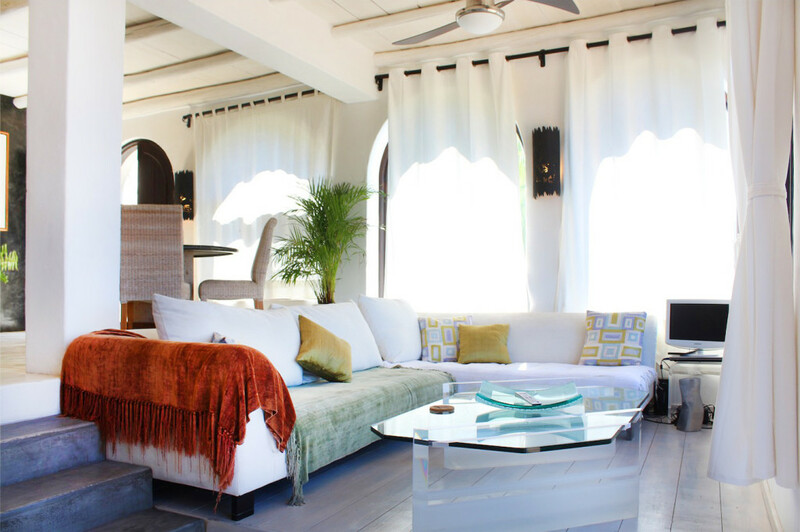 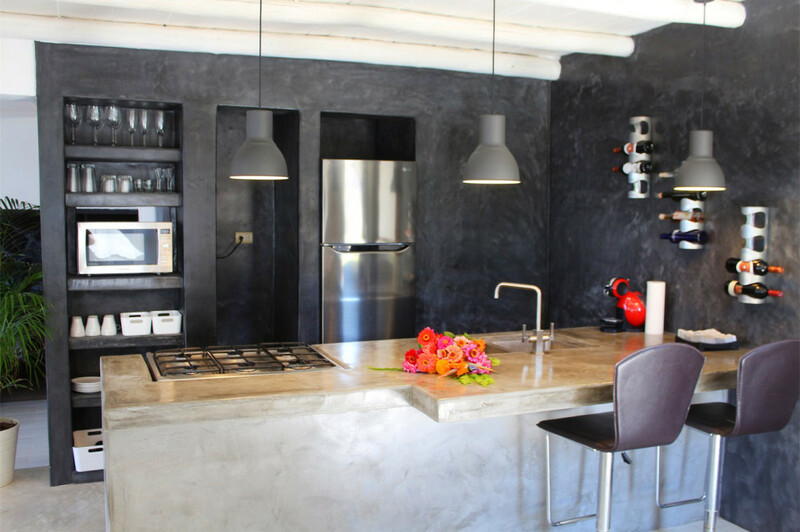 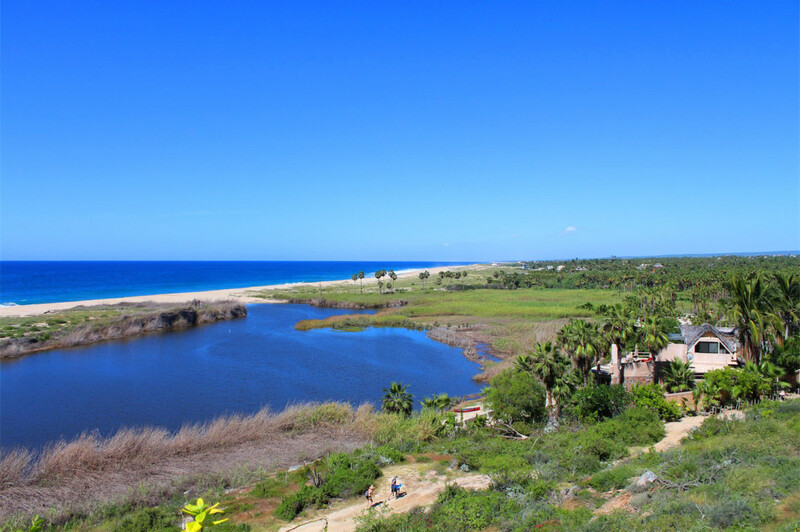 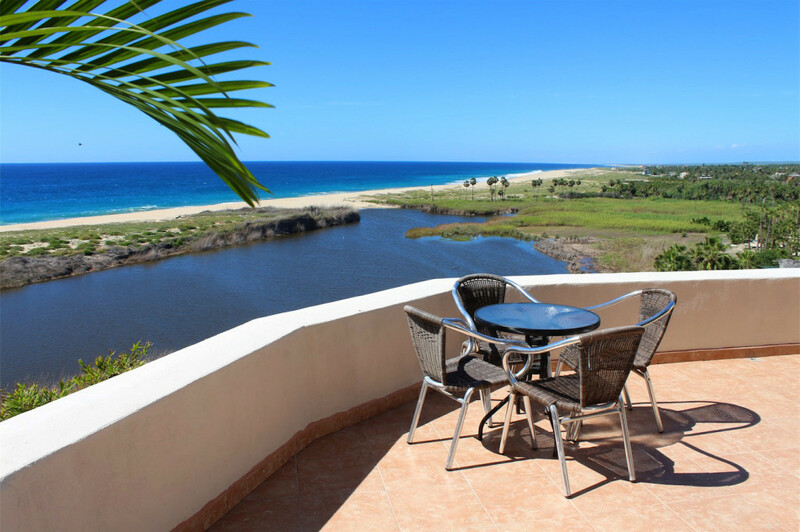 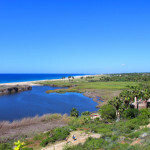 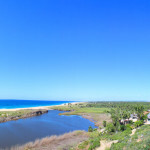 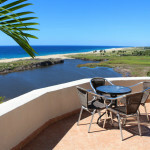 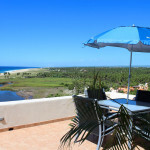 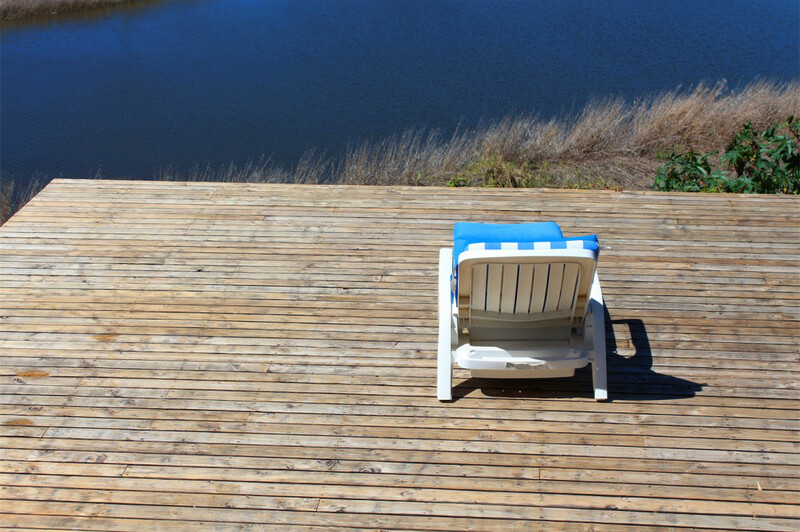 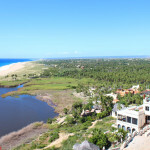 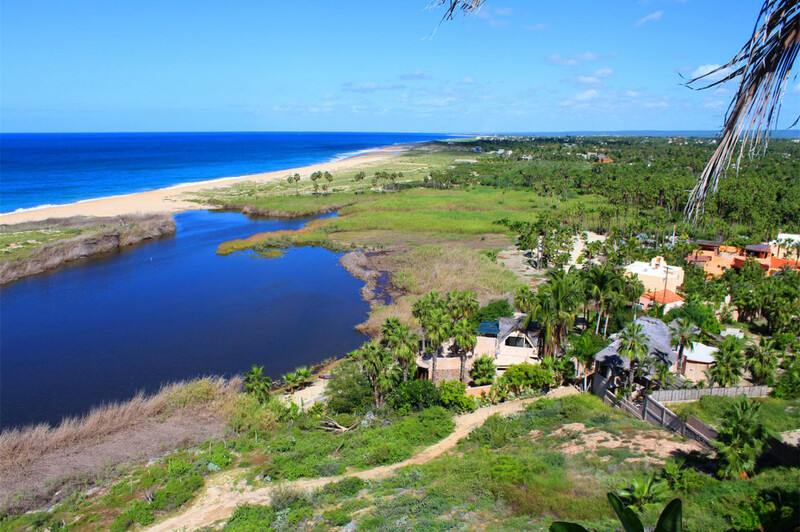 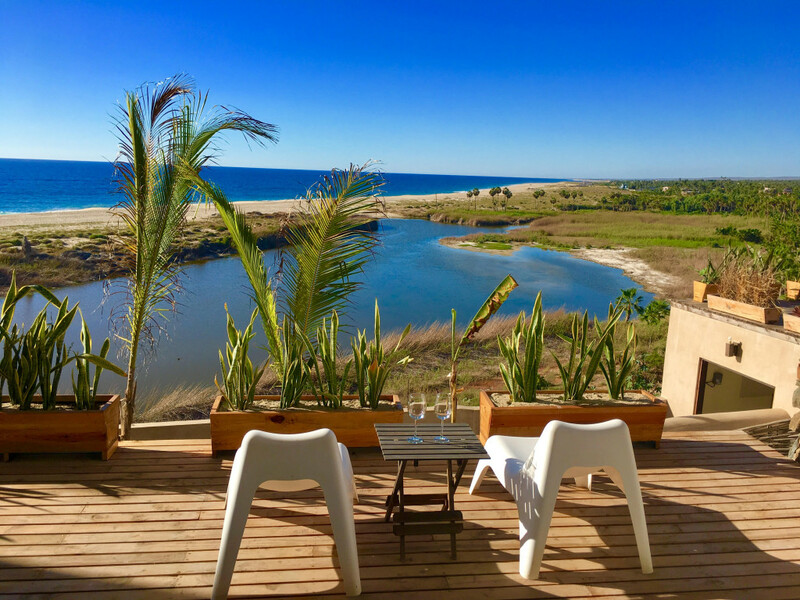 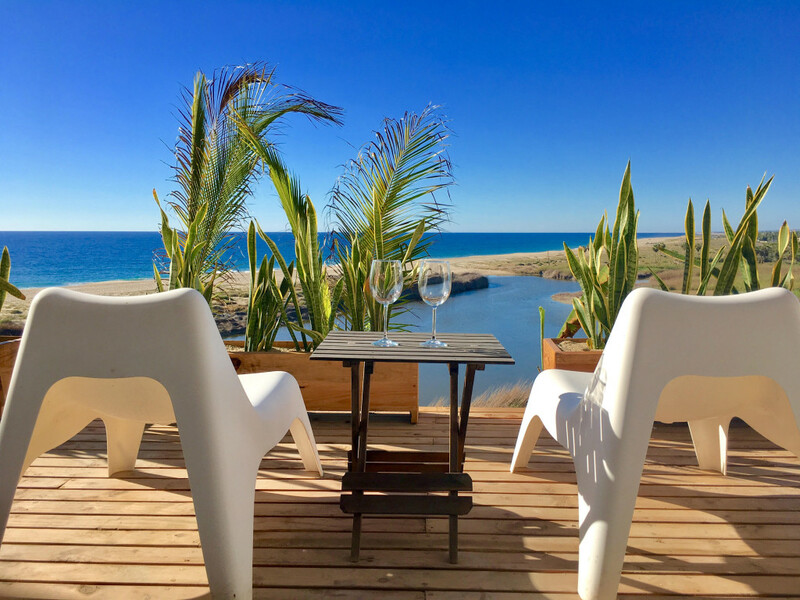 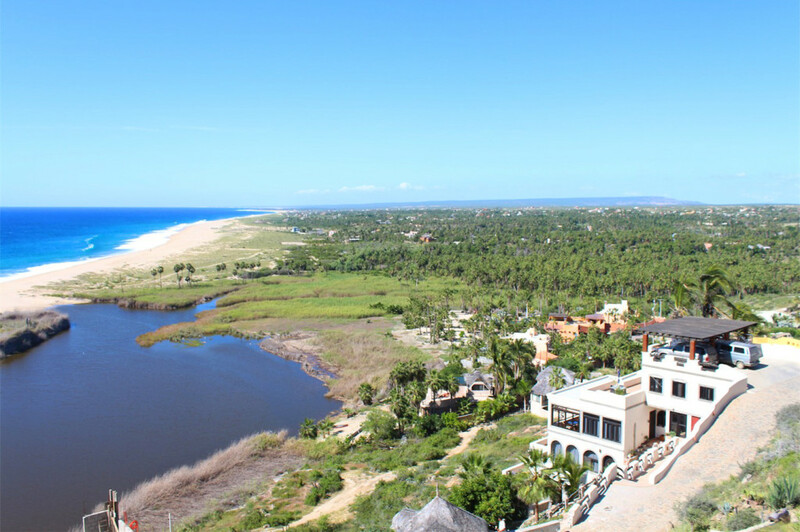 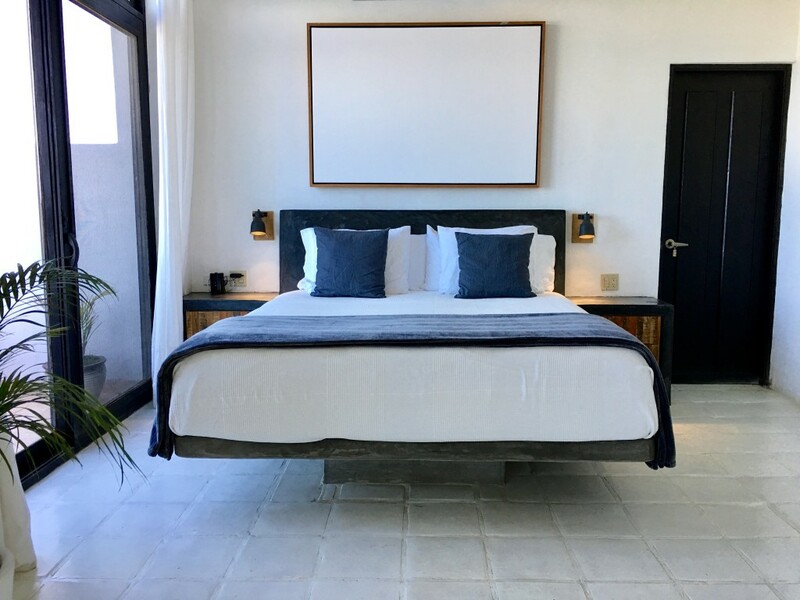 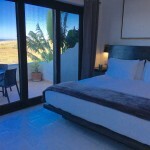 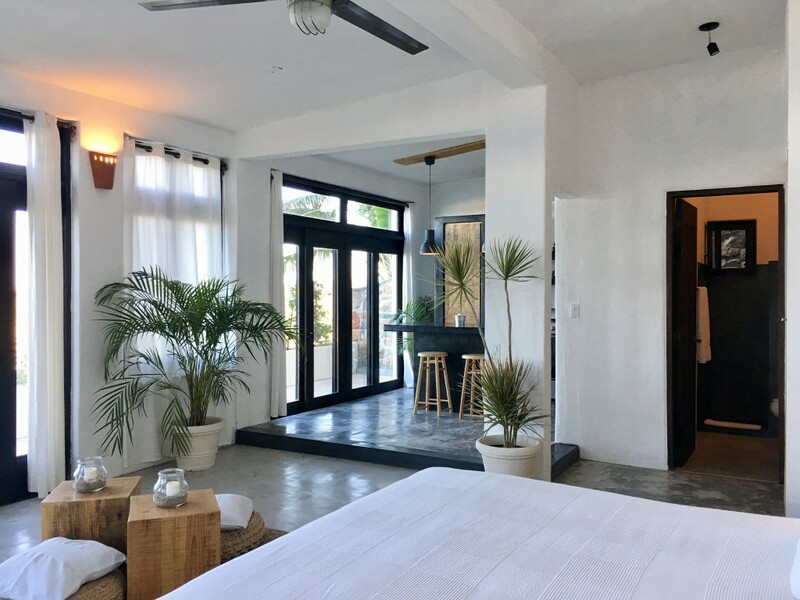 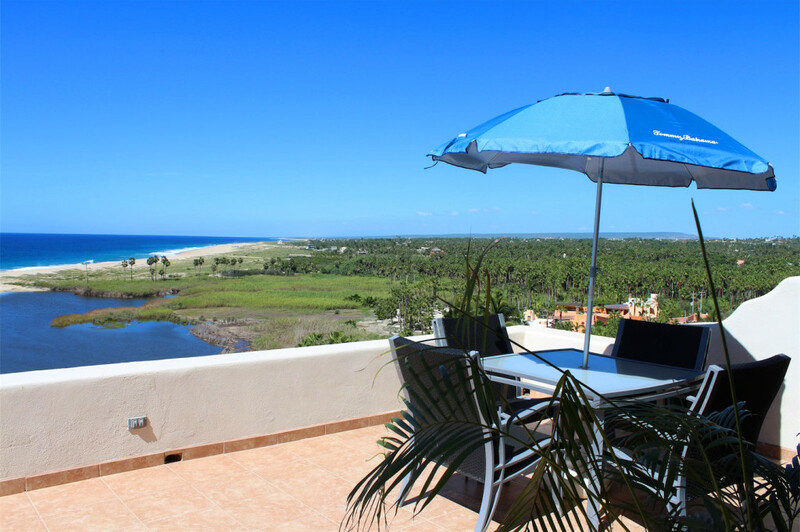 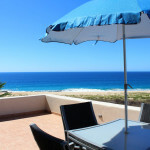 Villas La Mar is a vacation rental property nestled on La Poza hillside offering sweeping views of the Pacific Ocean, natural lagoon and palm grove in the charming town of Todos Santos, Baja Sur. 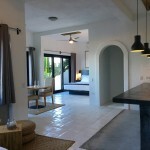 Choose between our villas and suites. 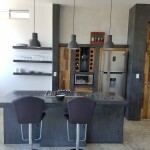 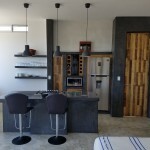 Clean modern lines combined with repurposed wood gives a feeling of modern meets rustic. 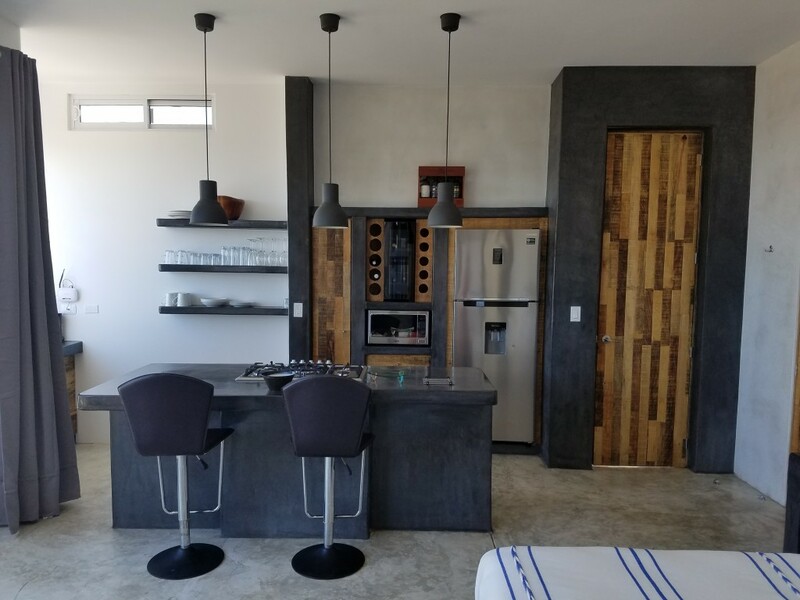 Our villas are large contemporary studios each with a kitchen, dining area, seating area, bathroom and expansive ocean view balconies for unforgettable views. 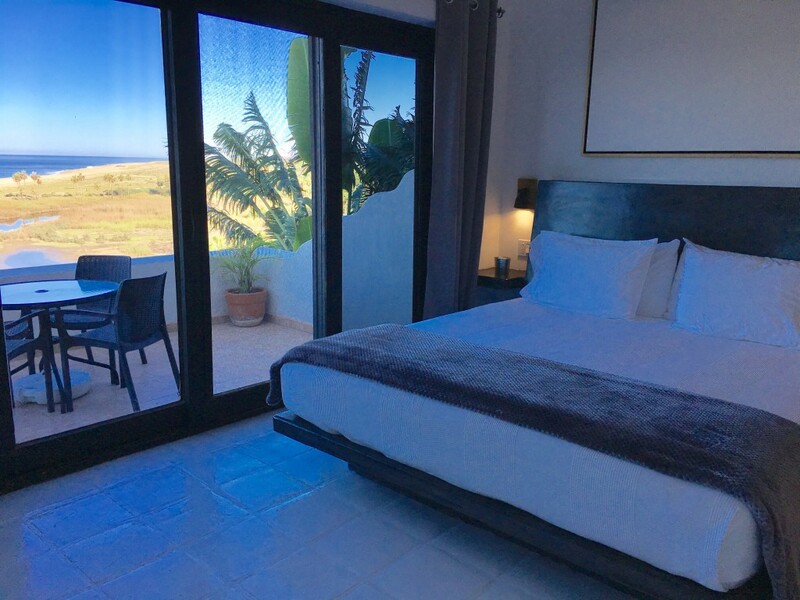 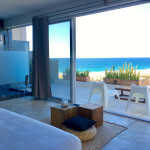 Our suites are sleek and modern with large ocean view balconies. 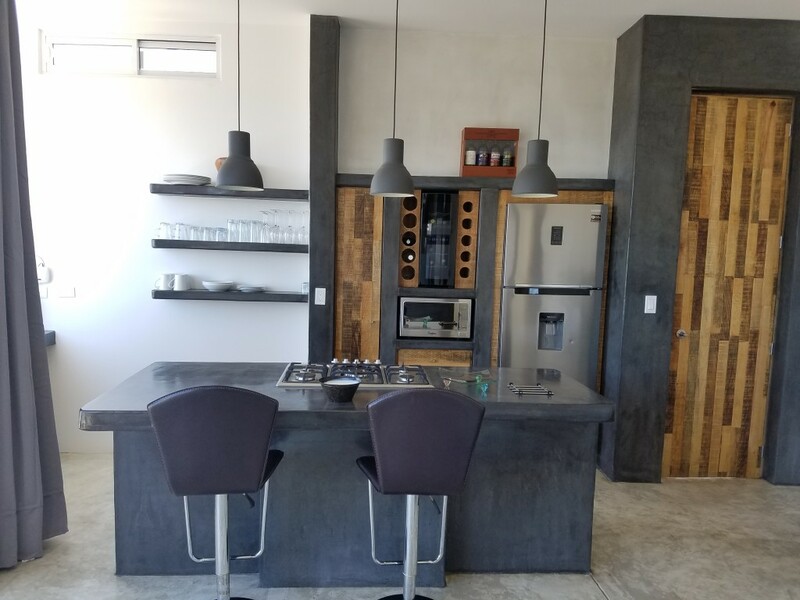 They are perfect for guests who don’t need a kitchen for preparing full meals, but are satisfied with a coffee/snack area with a mini-fridge. 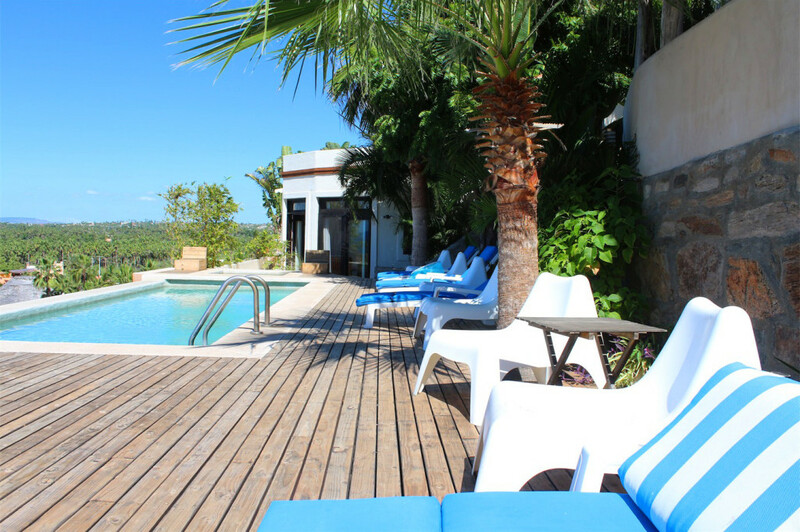 All guests are invited to enjoy our sparkling pool and tropical patio retreat. 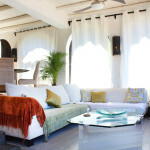 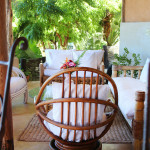 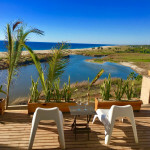 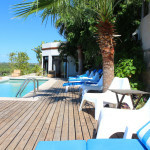 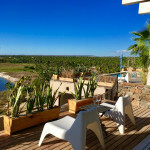 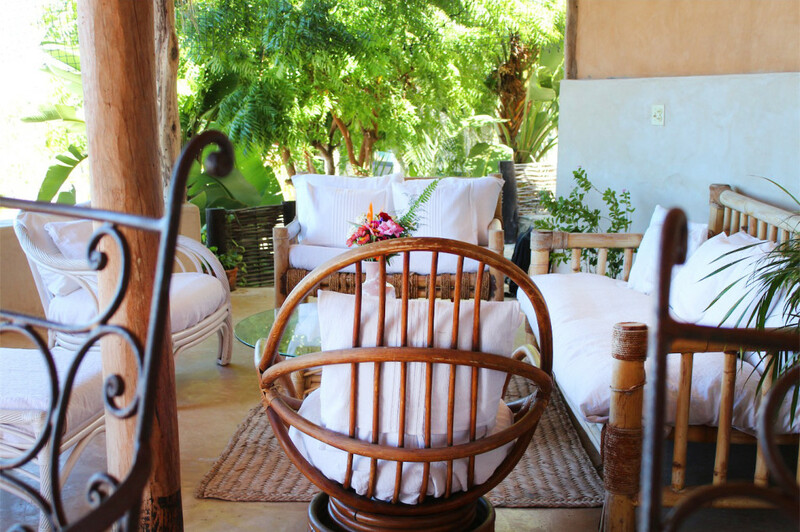 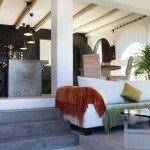 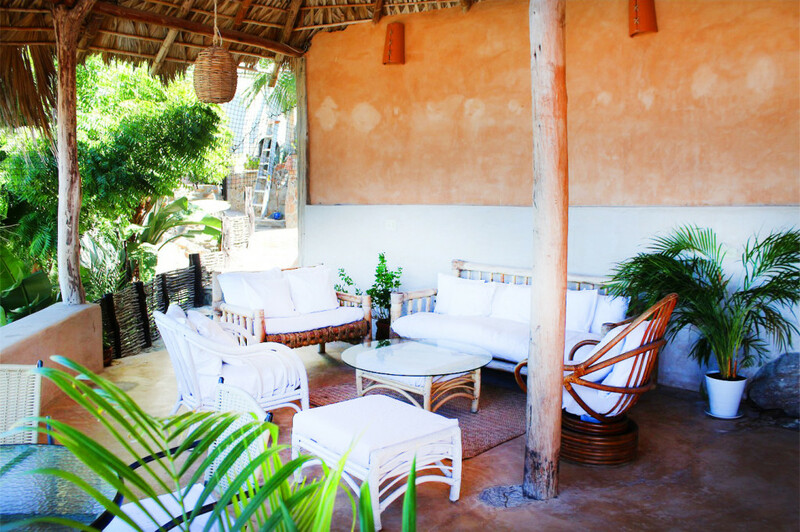 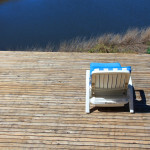 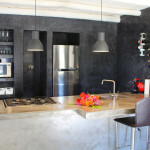 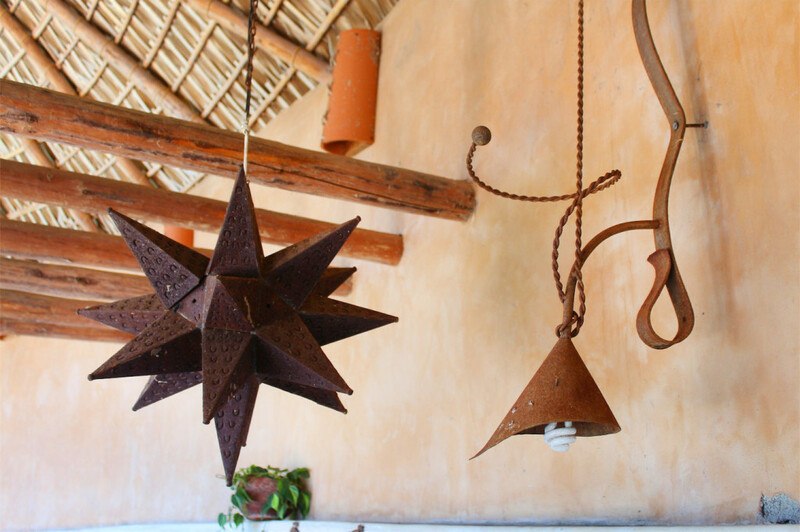 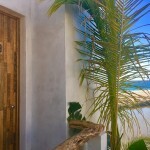 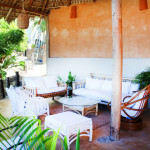 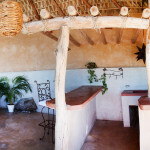 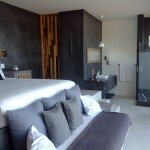 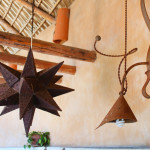 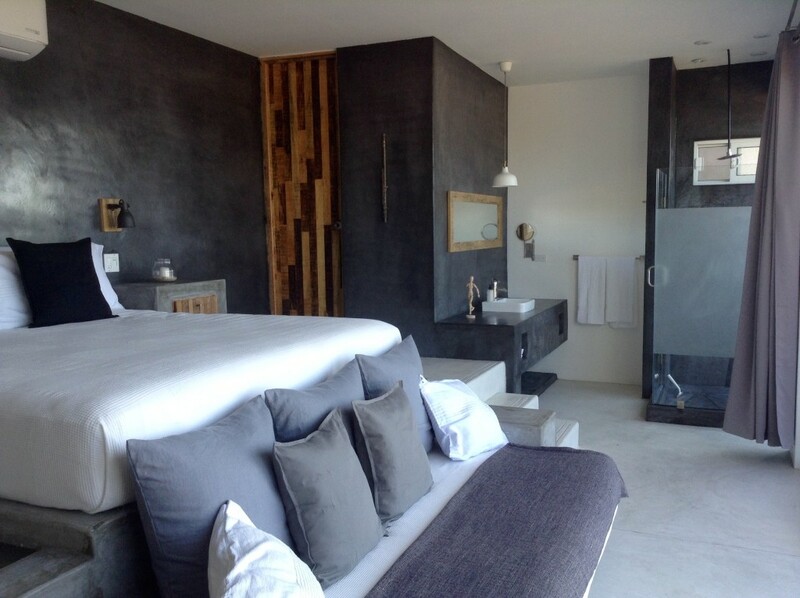 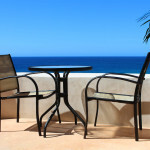 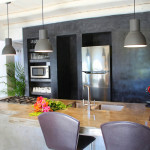 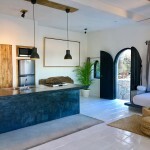 Our accommodations have all been carefully designed utilizing natural local materials and capturing Baja’s amazing light. 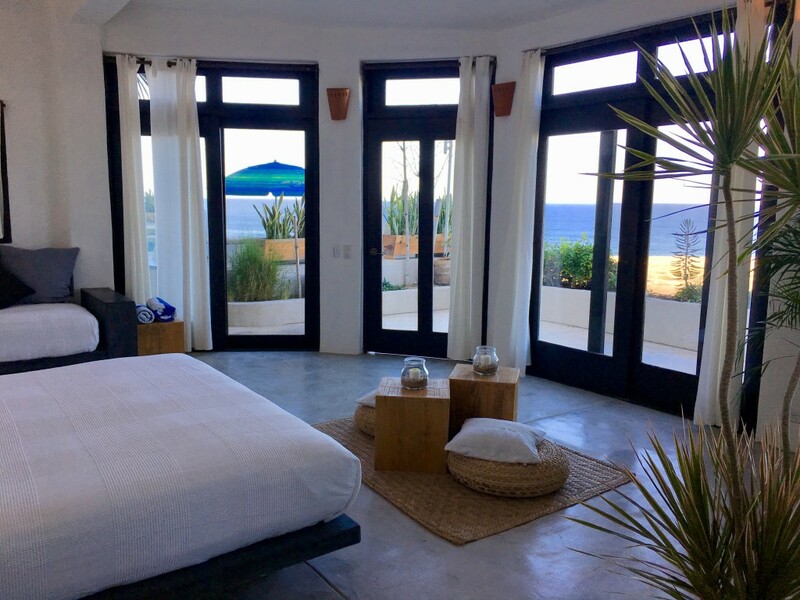 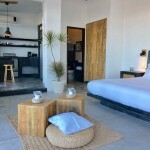 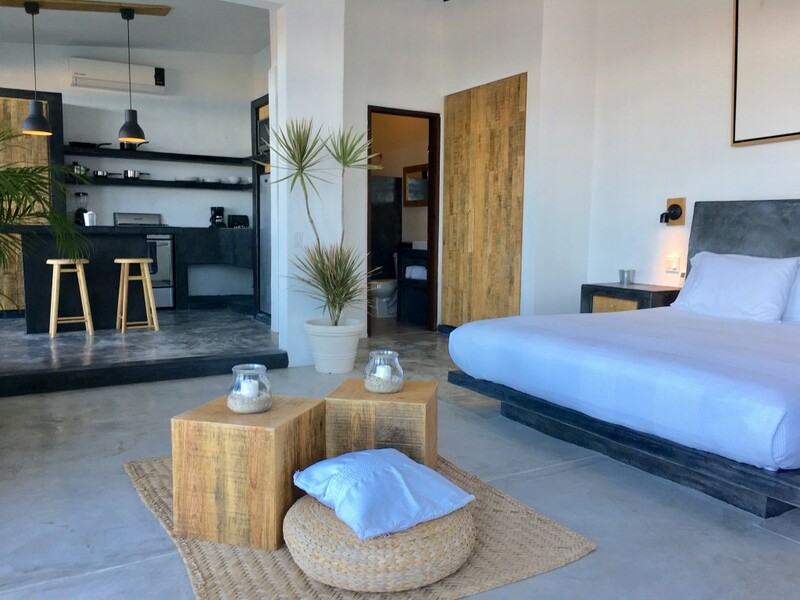 We’ve blended modern lines and cool colors with function, so you can ease into our laid-back vibe and experience a connection to Baja’s beauty. 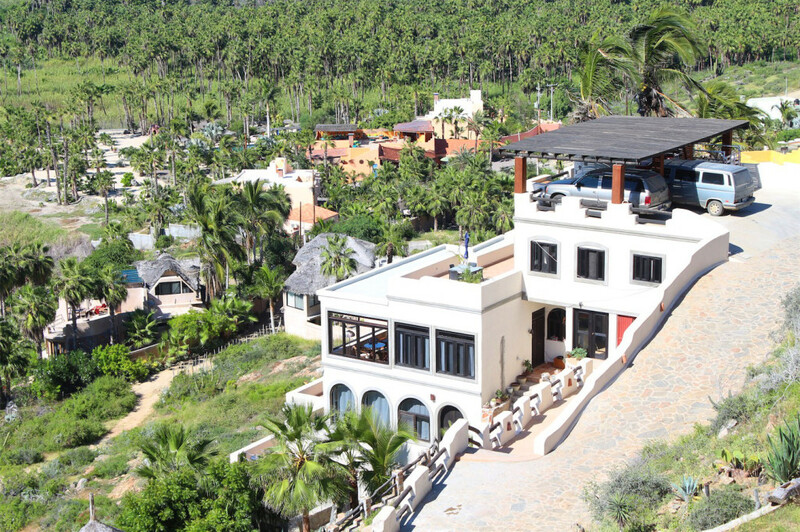 Villas La Mar is anything but ordinary. 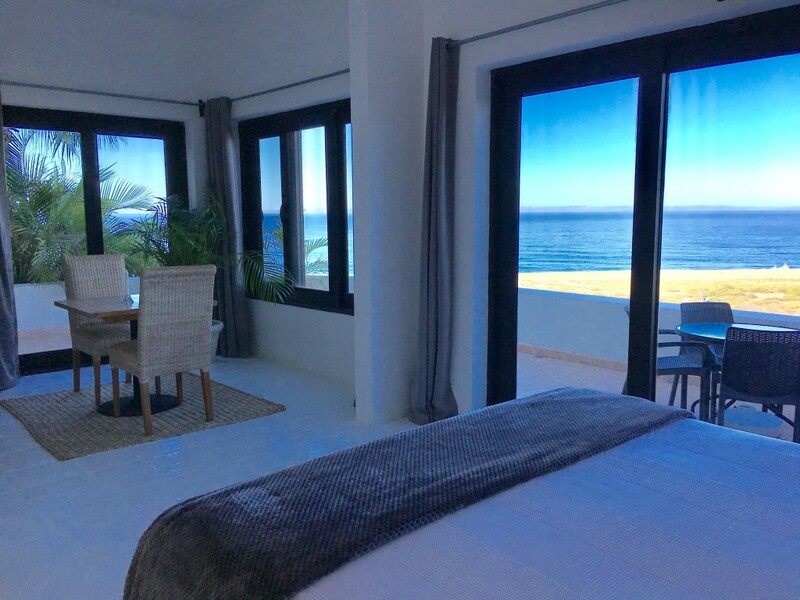 You’ll be able to enjoy outrageous views and sunsets, walk on kilometers of pristine beach, be amazed by countless species of birds and enjoy whale watching in season right from your bed! 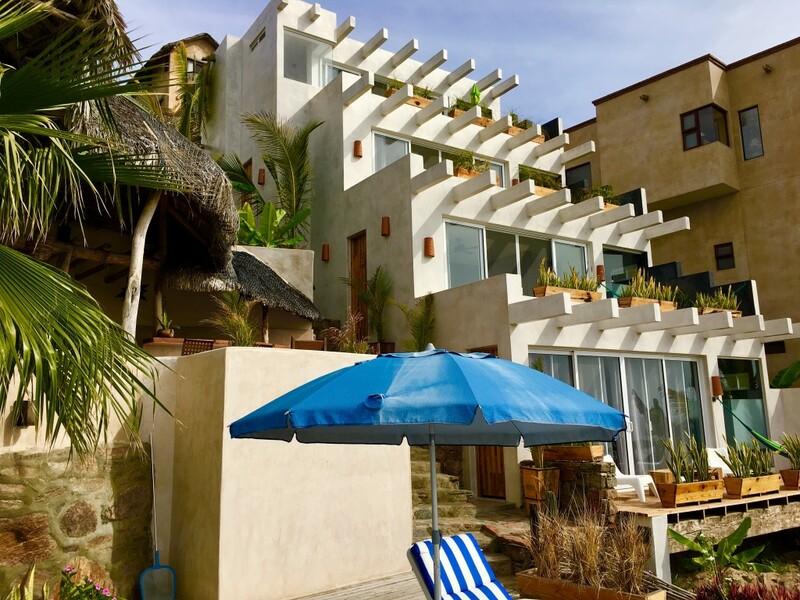 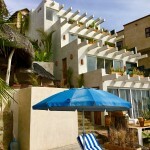 Please note that Villas La Mar is not wheelchair accessible due to the many stairs on the property.